You asked for it and you got it! 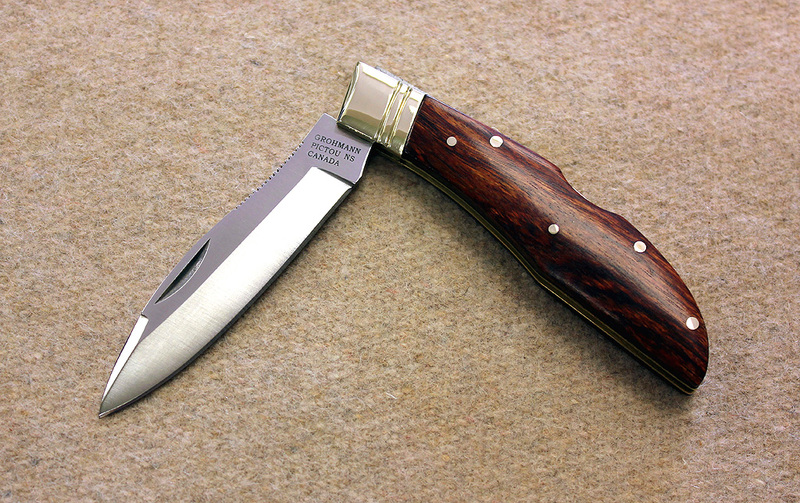 Our classic D.H. Russell lock blade now in a smaller pocket size version! The new #R340S sports our classic rosewood handles with nickel-silver bolsters and pins to give it an extra special touch. Also available with natural staghorn handle #H340S! Size comparison between DH Russell #R300S lockblade and New! Mini Russell lock blade #R340S. Looking for a sheath for this knife? The leather belt sheath with snap #1595 will fit.